If you are using Windows 7 or 8, you will have probably noticed the little windows icon in the bottom right corner of the screen. 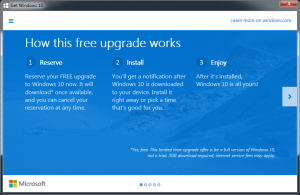 This icon allows you to opt-in for a free upgrade to Windows 10. 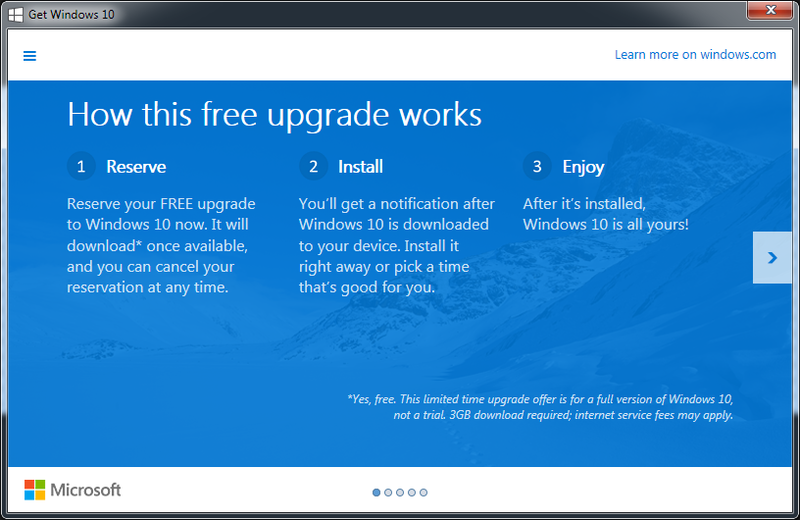 This free upgrade is available for a year, after which you will most likely be charged for it. To opt-in, simply press the windows icon in the system tray, and then follow the links to sign up. Windows 10 is rumoured to be released on July 29th, and the download will be 3GB when its available. Unlike Windows 8 which was seen to be more suitable for tablets and touchscreens, Windows 10 has a special feature called Continuum which means people using a computer with a keyboard and mouse will see the classic desktop view, but switching to a tablet or smartphone will see it alter to touchscreen tiles (like Windows 8). It will also include a new browser called Edge which allows users to annotate webpages. This will most likely replace Internet Explorer. Finally, the start menu will return! Most of our customer’s issues with Windows 8 is that there is no start menu, so we almost always install special software to add one. But with Windows 10, the start menu is back.